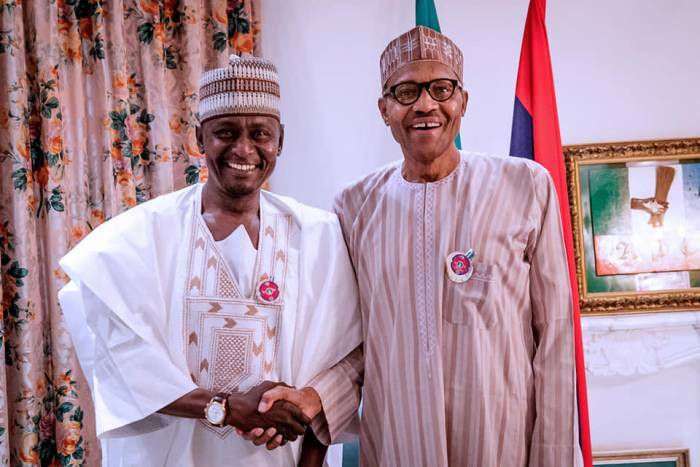 President Muhammadu Buhari has received another set of defectors from the Peoples Democratic Party including the suspended Deputy National Chairman of the party, Sen. Babayo Gamawa and a member of the party’s Board of Trustees, Kaulaha Aliyu, who defected to All Progressives Congress (APC). The News Agency of Nigeria (NAN) reports that the defection of the PDP bigwigs from Bauchi State came barely 24 hours after the president received various members of the Peoples Democratic Party’s Support Groups from the North East, who defected to the ruling APC. NAN reports that the defectors who were accompanied by Gov. Mohammed Abubakar of Bauchi state, met behind closed doors with President Buhari for about 35 minutes. Speaking to State House correspondents after the meeting with the president, the governor expressed delight over the new political development, saying the defectors were in the presidential villa to pay political homage and pledge their support to the president. On his part, Gamawa told the correspondents that his decision to defect to the ruling APC had nothing to do with his suspension from the PDP but his love for the country. He, however, stated that the PDP would regret its action for suspending him from office. “As a Nigerian, I want what is good for the country; I want good image for my country and I want to see development and progress of the country. “And I have been saying it, as a politician, I play my politics not blindly. Whenever thing goes right or wrong I will say it the way it is. As journalists, you are aware of what PDP did today – just because of an allegation they said they have suspended me. “I want to call on them to check their secretariat. If they are in politics they should know what is happening on daily basis at the secretariat – what comes in and what goes out. They should check their mails and they will know the position of Sen. Babayo Gamawa before their action of today. He, therefore, described his suspension from the PDP as undemocratic and unconstitutional. 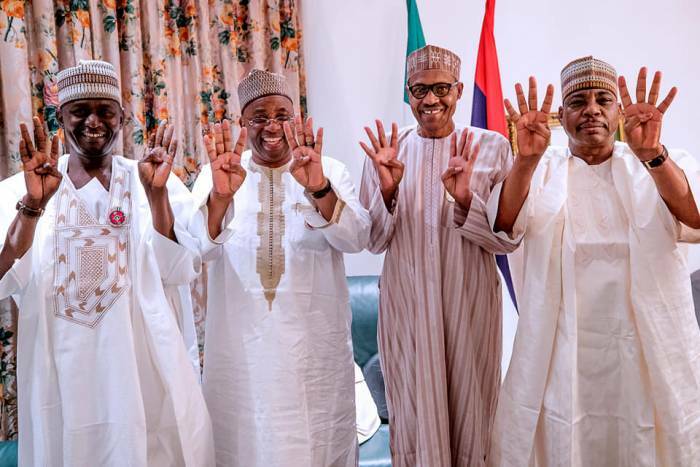 In his contribution, Kaulaha Aliyu, said he joined the APC to ensure electoral victory for President Buhari in the forthcoming general elections. 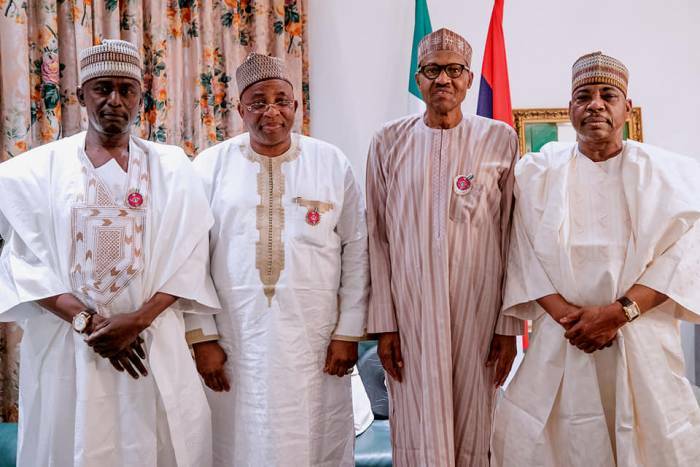 President Buhari had on Monday received delegation of the North East political stakeholders including the defectors led by Umar Bukar Bolori, at the Presidential Villa, Abuja. The defectors included the former governor of old Borno state, Alhaji Mohammed Goni and a onetime deputy governor of Adamawa, Alhaji Saad Tahir.